Every neighborhood has a kid that torments the other kids. He isn’t the smartest (obviously). His house is painted hideous colors (garnet and gold). His parents taught him to say racist things (war chants). Everyone knows better than to care what he thinks or says and yet the kid continues to rule the block through sheer force of personality. You can get straight A’s, be an All-Star on your little league team, have the best Christmas ever, and still this kid will find a way to “beat” you in the sandlot or driveway pick-up game and everything you accomplished means nothing in that moment. It has certainly been a very good season for the Florida football program. Doubling last year’s win total. Beating a legitimate top 10 team. Producing some semblance of an offense. Opportunistic defense. Edge back on special teams. Dan Mullen has turned things around and there is a real sense of optimism for the first time in almost a decade. Despite those impressive strides, it could all come crumbling down should the Gators drop their sixth straight to our neighborhood bully on Saturday. Gator nation is split on which rivalry is the most important. I get the Georgia argument and understand why some will never believe any other game is more important. But for me, there has never been a doubt. I grew up in South Florida in the 1980s and went to Florida during the 1990s. FSU was the biggest game every year, not just because of on-the-field bragging rights but maybe more so because of off-the-field trash talking. The last 12 years or so has seen the rivalry die down. UF’s dominance during its championship runs in the mid-to-late 2000s and then the Seminoles’ dominance during the Jimbo era while Florida decayed sapped the juice. Now both teams are far removed from national relevance and tomorrow’s game is barely a blip on the college football landscape. But I believe it is the most important Gators game since the 2009 SEC championship. Everyone is aware of the recent history in this series. Florida hasn’t just been noncompetitive, they’ve been downright embarrassed. The Gators have scored 37 in the past three games; FSU scored 38 last year. Five losses in a row is the longest UF losing streak in the rivalry. Seven of eight is sickening. Add in the Seminoles sudden dominance in men’s hoops with a rivalry worst five-game losing streak for Florida and my appetite for a win tomorrow is ravenous. The one miracle season of the Muschamp era and the two SEC East title seasons of the McElwain era were fool’s gold. At no time did Florida look like a complete team and a program on the rise. Mullen has brought something different to Gainesville. Of course the Gators are still miles away from where they need to be, but the improvements in competency, discipline, and competitiveness all show the potential of two years down the road. The momentum was stymied by the back-to-back losses to Georgia and Missouri but has since been re-established. On the grand scale, one game means very little for Mullen and what he’s building. At the beginning of the season, the majority of Gators would have taken eight regular season wins as success. The recruiting impact of head-to-head matchups is always exaggerated. The Gators are headed in the right direction and one game’s outcome shouldn’t effect that. However, a fragile psyche for a downtrodden program needs a lift. A loss to the worst Florida State team in maybe 40 years would stunt everything positive that’s been accomplished this season. A road win over a rival to snap a long losing streak is vital. 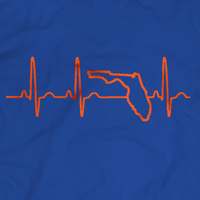 It is imperative the Gators pull off a win in Tallahassee. Noting else matters. The streak must end. Back when I first started writing this blog, when believe-it-or-not Double-A baseball All-Star Tim Tebow played in the National Football League, I was a fan only. For a year and a half now, I’ve covered the NFL on a regular basis and seen many of the Florida alums in action. I’ve picked the brains of reporters who cover them and former players I work with. Not to say that makes this column any more interesting, but hopefully it gives a little more insight into each player’s situation. The format of the yearly post has changed a little over the years too. I used to do these rankings at the end of the year based on performance during the season. Last year I decided to move it to right before training camp as a season preview. This year, I wanted to get a little evaluation of camp in so I moved it back again until mid-August. That allowed me to see some training camp and some preseason games. My hope is if you come across NFL Network and a game is on, you’ll have an idea of which former Gators are playing and what their situations are. Please don’t check out who was #1 back on that original list in 2012. Or the following year. Nope, let’s just move on. It is interesting that there has been a new #1 every year. That continues once again this year. It hasn’t been by design. As I’ve mentioned many times, I should just put Reggie Nelson on top until he retires. Especially now that he’s doing the Gator chomp with Johnny Townsend after learning about his induction into the UF Athletic Hall of Fame. These rankings reflect only those with NFL connections. If you had any sort of workout or contract with an NFL team since August of last year, you were included. Or at least I tried to include you. Every year, I re-read the previous year’s column and frustratingly find guys that I missed. It is damn hard keeping track of everyone because there really isn’t a definitive database to check for this stuff. Pro-Football Reference is close, but it isn’t foolproof. That’s why I put so much work into this blog post every year, hoping it will be the most thorough reference point for checking out former Gators in the National Football League. Professional football isn’t just limited to the NFL. There are a handful of ex-Gators keeping the dream alive in Canada playing for the Canadian Football League. Marcus Roberson (Toronto) and Matt Elam (Saskatchewon) were recent signees, while Chris Rainey (BC) and Loucheiz Purifoy (Saskatchewon) are seasoned CFL vets. Will Hill played in the CFL last season but is joining Leon Orr as former Gators giving it a go in the new Alliance of American Football (coached by none other than Steve Spurrier!). I’m sure there are others out there, but that’s not a rabbit hole I was willing to go too far down. As always, Florida continues to be one of the largest producers of NFL talent. At the end of last season, there were 38 former Gators on active rosters, fifth among schools. That doesn’t include transfers or guys on practice squads or injured reserve. By my count, 50 ex-Gators played in the league, made a practice squad, or spent the year on injured reserve. A few of those 50 have played their last snap in the NFL, but nine rookies are looking to take make the leap this year. It was a bit of a surprise to see the Jaguars take Bryan given the strength of their defensive line. It will be hard for him to crack the regular rotation although young, fresh legs are always needed on the line. Expect a modest rookie campaign as Bryan adjusts to the NFL speed and size. He’s expected to make his preseason debut this week. Dawson is slowed by a hamstring injury right now, but early in camp he made a good impression on the Pats and Bill Belichick. Dawson has a chance to fill the nickel corner role if he can get back on the field quickly. What a week for Callaway last week. Arrest to start it, huge game to end it. We saw plenty of both at Florida. If Callaway can’t get his life in order off the field, he’ll be out of the league before his career even begins. The immense talent is there and the Brows desperately need it. He’ll be given a reprieve by the team even if the league suspends him, as evidenced by his teammates heartfelt reaction in Hard Knocks this week. None of that matters, though, if Callaway can’t grow up. It’s rare for punters to be drafted so when the Raiders selected the SEC’s all-time leader in punting average, you figured they were sold. The fact that Townsend is the only punter in training camp tells you all you need to know. He had three 40+ yard punts in his preseason debut and the other two kicks were pin jobs inside the 20. I can’t recall being excited to watch a NFL punter, but Townsend was basically the Gators MVP for a few seasons so Gator Nation will be cheering him on in the pros. Harris’ rehab from the Achilles injury that stole his final season at Florida is getting closer to completion. He was removed from the non-football injury list a couple of weeks ago. He still hasn’t participated in team drills and is a ways from playing in a preseason game too. That means Harris is likely to start the season on the physically unable to perform list or injured reserve. If he gets back healthy before the season begins, a practice squad spot might be the place. It is not a understatement to say that I was shocked when Pineiro wasn’t selected in this year’s draft. His hometown team, the Miami Dolphins, needed a kicker and had worked him out. It appeared destiny… until they took a guy named Jason Sanders who made just over 70 percent of his kicks in college. As a Dolphins fan I can tell you that pick fits right in with the long list of head-scratching selections they’ve made over the years. The Raiders benefitted from the mistakes of others and snatched Pineiro up with a $25,000 signing bonus, unheard of for an undrafted kicker. After seeing Pineiro up close, they knew he was their guy and cut loose Giorgio Tevecchio, last season’s kicker. That move was made in part to help Pineiro’s Florida and now Oakland teammate Johnny Townsend as the holder. They didn’t want Townsend switching between a left and right-footed kicker, especially since they knew Pineiro was going to be the guy. As we saw over and over in orange and blue, Pineiro lived up to the hype by drilling three field goals in his first preseason game, including a 48-yarder as time expired in the first half. Draft Pineiro on those fantasy teams now. Pineiro and Townsend have been inseparable at Raiders training camp. After getting waived by the Lions after minicamp in May, Goolsby was hoping someone else would give him a chance. He has it in Jacksonville. He’s the seventh tight end in camp and realistically only has a shot at making the practice squad, but that’s better than nothing. And as you’ll read, there are many Gators who have made fine careers out of just such situations. Powell is getting a long look in Detroit after impressing the new coaching staff early in training camp. His quickness and toughness are well-suited to a slot receiver role behind Golden Tate. Matt Patricia rewarded Powell’s practice efforts with a lot of action in the first preseason game and he didn’t disappoint, leading the Lions with five catches for 34 yards. The odds are still against Powell making the 53-man roster, but he’s giving it everything he has. Powell getting the rookie initiation treatment of carrying Marvin Jones pads off the field. The longest of the longshots among the UDFA Gators class is Thompson. He had a better second preseason game with two catches for 43 yards and six rushes for 14 but he’s still buried on the Ravens’ depth chart. Undrafted DBs Washington and Putu were both minicamp cuts by the Raiders and Falcons, respectively. Perhaps their future lies in one of those other professional leagues as well. This next group all played multiple seasons in the NFL but now face the prospect of moving on to their second careers. Howard had a couple of excellent seasons with the Chiefs in 2014 and 2015 but fell off fast. He was in camp with the Bears last year, but after a year away from football, it appears he’s moved on. He joined the football coaching staff at Eustis High School this summer. Sharrif Floyd and Dominique Easley might have been the most dominant frontline duo the Gators fielded together since Kevin Carter and Ellis Johnson. But instead of long, successful NFL careers, both have been ravaged by injuries. Easley still has a chance at an impact (keep reading), but Floyd’s career appears over. He was let go in March by the Vikings after failing to ever recover from nerve damage suffered during knee surgery in 2016. Cut before the start of the 2017 season, Hammond is an unsigned free agent. It’s been three years since he last played an NFL game. Trattou spent all of 2017 on injured reserve and has failed to garner a contract offer this year. While currently not in any training camp, these two could get a look after final roster cuts and injuries shake out. Both were sitting at home in the middle of last season and finished the year on active rosters. After sitting out all of 2016 recovering from a torn ACL, Murphy clawed his way back to the league last year in a late-season stint with the 49ers. It was an impressive feat and if it’s his last hurrah, definitely something to be proud of. Murphy is a free agent and at 31 years of age, the phone will likely not ring. That hasn’t stopped him from being a force for good in his Tampa community and says more about him than any of his 170 catches in the NFL does. In 2014, Jenkins posted 110 tackles and 3 ½ sacks in just his second season in the league. Now four years later, he appears to be out of the league. Jenkins bounced around from Oakland to Buffalo to Houston last season and played in only seven games, mostly on special teams with the Texans. He’s a free agent now hoping for another shot, but the market for undersized linebackers just isn’t strong. Jenkins doesn’t deserve to be in this section, but he might not get another chance. A few years ago, the NFL began allowing teams to keep their 90-man rosters intact for the entire preseason and instead of weekly cuts, all teams were tasked with trimming down to 53 the week of the season opener. 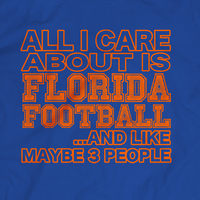 This year, September 1 is the day and many Gators figure to be sweating out a roster spot until the very end. After a dynamic 2016 campaign in Buffalo, Mike Gillislee arrived in New England with high expectations. The opportunity to take Legarrette Blount’s role as the big back in the Patriots’ high-powered offense was there. But after a promising start in which he scored four TDs in the first two games, Gilly was essentially banished after Week 8. He entered training camp this year as a likely cut, and after the first game when Jeremy Hill outperformed him, that looks inevitable. Hopefully Gilly lands someplace that will give him the opportunity to find his flash. Matt Jones is up against it in Philly. The running back competition is fierce with one or two roster spots at most available to a group of four guys. Jones is in the mix but missed the first preseason game with a leg injury. The good news is the others in the competition haven’t impressed either. Still Jones needs to be on the field showing he can hold onto the ball (eight lost fumbles in 20 games in Washington). Feel free to stump your fellow Gators with this trivia question around a tailgate: Who has the most yards per carry in the NFL, minimum 15 carries? Give them 10 guesses and I’m not sure they’ll nail any of the top three: Ike Hilliard (16 for 126, 7.9), Travis Taylor (32 for 232, 7.3), and then the first running back on the list, Mack Brown (16 for 111, 6.9). Most of those yards came on one of his first professional carries ever with the Redskins, a 61-yard scamper back in 2016. Brown signed with the Vikings late last season and finds himself in a battle to earn the third-string spot behind Dalvin Cook and Latavius Murray. It’s a surprise he’s lasted as long as he has in the NFL, but more than likely, that time is almost up. There weren’t many performances from 2017 that were more humiliating than what Chaz Green experienced in Week 10 versus Adrian Clayborn and the Falcons. Green was whipped for four sacks while the Cowboys gave up six total to Clayborn. After beginning training camp last season with a chance to earn a starting guard spot, Green quickly fell behind and then suffered one of the great beatdowns of the year as a spot starter in place of All-Pro tackle Tyron Smith. It will be hard for Green to recover from that with the Cowboys, and even harder considering he has had more issues staying on the field in training camp. It’s rare that a special teams ace in college makes the leap to the NFL, but that’s just what Thompson did with the Texans last season. His speed not only paid dividends returning kicks, it also helped him become a gunner on coverage. But like just about every undrafted free agent, nothing is ever secure. Thompson’s recovering from a concussion right now and that’s limiting his opportunity to hold onto his spot. It may come down to Thompson and former Auburn receiver Sammie Coates for a roster spot. Ivie was cut by the Cowboys before the start of the 2017 season. He eventually landed on the Falcons practice squad before they waived him this summer. Just over a week ago, the Seahawks brought him and soon Ivie was making the play of the preseason. Despite the highlight reel, Ivie faces long odds of making the Seahawks. Seattle kept only four tackles last season and Ivie is likely sixth on the depth chart right now. It might be another practice squad role if he’s to stick around in 2018. Injuries are a part of the game, but these guys have faced more obstacles than they deserve. As Washington fans are all too aware, Reed has never started more than nine games in a season. Last year, he was hurt going into training camp and never fully recovered. Six games in and with barely 200 receiving yards, his worst season was over. Now the former Gators quarterback enters 2018 claiming to be fully healthy for the first time in a long time. This is a make-or-break season but the potential is there to return to form as one of the best tight ends in the game. Time is running out for Dominique Easley. Four ACL injuries have stalled what appeared to be a sure-fire productive NFL career. Easley had a chance last year to make an impact for the Rams during Aaron Donald’s holdout. Instead, he blew out his ACL and missed the entire season. Donald’s holding out again, but Easley still isn’t back practicing with the team. I was at Rams camp at the end of July and saw him working hard with a trainer, looking quick and explosive. The Rams still believe in him and expect him to be activated from the PUP list before the preseason ends. He’ll have to make up for lost time and make an impression quickly to earn playing time on what will be a stacked and loaded Rams’ defensive line. Easley hopes to join his teammates on the practice field soon. McGee spent 2016 on the Chargers practice squad and has also spent time with the Panthers and Raiders organizations. This offseason looked promising as the Steelers brought him back after a brief stint in 2017. Unfortunately during OTA workouts in May, he tore his Achilles and will miss the entire 2018 season. The NCAA’s transfer rules have changed so much that quite a few players spend many years at one school before departing for another, having a great final season, and propelling themselves into the league. I still think of these guys as Gators, even if their best playing days were in colors other than Orange and Blue. Cam Newton is the exception here. If you win a Heisman at your second stop, you cease being tied to your original school. Driskel spent his first year in the NFL on the practice squad in Cincinnati. The Niners drafted him, but waived him before the 2016 season. Driskel impressed Marvin Lewis and came into training camp in 2017 with a realistic shot of backing up Andy Dalton. He played really well in exhibition games and the Bengals entertained thoughts of moving A.J. McCarron, but that decision was made for them when Driskel broke his thumb in the preseason finale and went on injured reserve. This season, McCarron is gone and Driskel is battling Matt Barkley for the job. He was impressive in the first preseason game, leading a 91-yard game-winning drive late in the 4th quarter. Even if he doesn’t beat out Barkley, he might factor in to another team’s plans down the road. Shaw has carved out a role as a nickel corner and backup safety with the Bengals, but he’s facing competition in camp that might make him a cutdown casualty. Silberman almost transferred from Florida to Louisville before eventually landing at Boston College with Steve Addazio. Those moves were nothing compared to what Silberman has done since. He’s a veteran of four different teams’ practice squads in the three years since he was drafted in the sixth round. He’s had his best training camp so far this season with the Raiders in Napa, but he’s still facing long odds of sticking on the roster. Sometimes you just need a little luck. Brissett’s playing time in the NFL has come thanks to suspension and injuries to Tom Brady, Jimmy Garoppolo, and Andrew Luck. Three of the best in the league had to go down for Brissett to find the field, and to his credit, he’s taken advantage of those opportunities and shown he can play quarterback in the league. A nearly 60 percent completion percentage and close to 2-1 TD/INT ratio has probably guaranteed Brissett a long career as a quality backup QB in the NFL. The potential and promise are still there. An offseason spent working hard, a training camp where they learned a few more tricks, a handful of games early… all of it could lead to the breakout we know they have in them. By some accounts, Quincy Wilson is ready to blossom in his second season. But by others, namely the team’s depth chart, Wilson is running behind an undrafted free agent in his quest to be a starter in the NFL. Whether he starts or not, the Colts expect big things from Wilson and he appears primed to deliver. When Tabor fell in the 2017 draft, many of us were surprised. We watched him dominate so thoroughly in Gainesville that we assumed he was a can’t-miss NFL prospect. A rough rookie season justified the skeptics concerns about Tabor’s game. So far this fall, he hasn’t picked up the Lions new defense and is struggling to make plays. Speed was never Tabor’s forte and as long as he’s learning and reacting instead of just playing, he’s going to struggle. Don’t count him out. His length, athleticism, and smarts will get him where he needs to be eventually. Tabor hopes to give the media more to write about in his second season. The odds were against Cox as an undrafted free agent last season. He cleared the first hurdle by making the practice squad. He was then activated to the 53-man roster but in a very limited role. But when the Panthers season wrapped up in a playoff loss to New Orleans, Cox had two tackles and was an integral part of the rotation along the defensive line. After offseason ankle surgery, he began training camp on the physically unable to perform list. Now he’s back on the field and poised to learn from veteran Julius Pepper and make an even bigger contribution to Carolina’s success. Sharpe is on the bubble in Oakland. Veteran Donald Penn missed the first two weeks of camp, but Sharpe wasn’t able to impress enough and seize the opportunity. Even with Penn out, he was splitting time at right tackle with former Gator Ian Silberman. Now with Penn back and 2017 first-round pick Kolten Miller locked in at left tackle, Sharpe might be on the outside looking in. After a scare early in camp, Brantley is back on the field running with the twos along the Browns defensive front. He showed some promise toward the end of his rookie season and has a chance for a bigger impact in his sophomore campaign with a much-improved Browns team. They might not be starters in the league, but these guys are the backbone of NFL teams. You put together a bunch of these types of players on the depth chart and you’re going to have a successful season. Poole has strung together two good seasons after making the Falcons as an undrafted free agent in 2016. As the Falcons’ primary slot defender, Poole was beaten in pass coverage a little more often in year two than in his rookie campaign, but he also finished fifth overall on the team in tackles. In the NFL, there are no guarantees and so Poole once again finds himself battling for his job this year. Coming off the best season of his career, Thompson signed with Dallas as part of the many pieces they are going to use to fill Dez Bryant’s shoes. But a roster spot is far from a guarantee, despite the $2.5 million deal. He’s dealing with an Achilles issue and needs to get back on the field fast. If Thompson doesn’t stick in the big D, he’ll likely find a role someplace else after his consistent play in 2017. Harrison is putting together a very nice career after leaving Florida with little fanfare. He has four seasons, 52 games and 24 starts under his belt and seems locked in as a backup center and guard for the Jets. Garcia has started every game for the Broncos the past two seasons, but given how poor the line overall has played, that might not be a good thing. Denver has really tried to rebuild the line and Garcia might be the odd man out. He did start at left guard in the preseason opener and his versatility as a center and guard might make him valuable. Even if the Broncos cut him, he won’t be out of work long. McCray has made a living by becoming a special teams ace and occasional edge rusher. He appears to have found a home in Jacksonville. Even before getting more reps this week at defensive end in the wake of Dante Fowler’s suspension, McCray entered training camp looking at more opportunity along the line. One Gators’ demise in Jacksonville might mean more opportunity for another Gator. Watkins is fighting for his NFL life, just as he’s done every training camp. After earning a Super Bowl ring with the Eagles last season, Watkins signed with the Chargers in the offseason. The Bolts boast a crowded secondary and Watkins is fighting for one of the last safety spots. His versatility as a corner and special teams contributor help his cause. Watkins is working hard to earn a spot in the Chargers deep secondary. They’ve worked hard. They’ve overcome obstacles. They’ve established themselves as capable pros. They’ll have long careers in the league. The Colts’ defense was atrocious last season. So the fact that Morrison started 15 games and racked up 108 tackles doesn’t carry much weight with a new coaching staff trying to rebuild. I saw Morrison in person a couple of times last year and the undersized backer was the same player as always – aggressive to the ball, hard-nosed, instinctive but struggled to get off blocks at times or make big plays. In the right system with good defensive tackles in front of him, Morrison will excel. The Colts did not have that last season and yet he still led the team in tackles. For seven seasons, Marcus Gilbert has been the Steelers starting right tackle. The problem has been that in just two of those seven years has Gilbert been able to start all 16. When healthy, he teams with former Gator teammate Maurkice Pouncey to form one of the best offensive lines in the league. As a seasoned vet, Gilbert has embraced a mentoring role with younger guys, something that paid huge dividends in the development of Alejandro Villenueva and could led to Gilbert’s replacement in Pittsburgh’s third round draft pick in this year’s draft. By all accounts, D.J. Humphries is finally looking the part of NFL left tackle. Going up against an elite pass rusher in Chandler Jones every day has certainly helped as has being healthy after a MCL sprain and dislocated knee last season. Humphries will need to be at his best if the oft-injured Sam Bradford is the Cardinals starting quarterback. Three years ago, Dunbar was an undrafted free agent wide receiver who was asked to switch to cornerback to provide depth in camp. The odds are long for undrafted players to make the league, even more so for a guy learning a new position. Now entering his fourth season, he was rewarded with a three-year, $10 million contract and looks like the potential starter opposite Josh Norman. Dunbar is one of the more impressive Gators in the NFL success stories you’ll ever see. After years of inconsistency, Caleb Sturgis finally developed into a trustworthy NFL kicker in 2016. Expectations were high for him, if not the Eagles, entering 2017. But after one game, Sturgis season was over with a hip injury. He then watched as his replacement Jake Elliott nailed memorable game winners and his teammates won the Super Bowl. Sturgis has moved on to a San Diego team desperate for a quality kicker. So desperate in fact that they also brought former Noles kicker Roberto Aguayo into camp. Sturgis drilled his first FG of the preseason but shanked his second badly. Aguayo, who flamed out laughably in Tampa, has looked good in practices. The job is Sturgis’ for the taking, but he’ll have to hold off Aguayo’s comeback. The lonely life of a kicker as Sturgis practices alone on a far field at Chargers training camp. Hargreaves first two seasons in Tampa have been disappointments. The eleventh overall pick in the 2016 draft has only one career interception. He has been beaten for big plays and failed to make many of his own. This is a make or break year, and the early returns were promising. Hargreaves was having his best camp and playing some of the best football the Buccaneers had seen from him. Unfortunately, he suffered a groin injury in the first preseason game and will miss two-to-three weeks. When he returns, all eyes will be on him to see if he can put it all together finally. Bucs fans are certainly shaking their head that he’s in the “solid” section here, but I believe in VH3. The knucklehead section. Wouldn’t be a Gators football list without it. Pro Bowl potential that could be derailed by off-the-field issues. One season lost to a torn ACL. One career start. Two arrests. One game suspension for the arrests. One week of preseason suspension for fighting in practice. This isn’t the kind of resume Fowler wanted to put together after the Jaguars took him third overall in the 2015 draft. All of that overshadows his obvious skills as an edge rusher. The Jags have one of the best defenses in football and figure to be close to a breaking point with Fowler. If he makes the opening day roster, his role as a backup should be embraced with great fervor. It might be what determines just how long his football-playing future is. It was not a pleasant offseason for Jenkins after a friend’s murder at his house in which his brother was charged with manslaughter. The Giants corner was out of the state and appears to have had nothing to do with it, but it is not a good look for an athlete in the biggest media market in the world. This past week, Jenkins used an insensitive word in a social media post and has rightfully caught grief for it. On the field, Jenkins’ game slipped a little last season despite his three picks and two pick-sixes. His nose for the end zone continues to be astounding as he has seven pick-sixes in his career. If he can put the off-field issues behind him, Jenkins should once again rank among the best corners in the game. Planting my flag on these guys. Expect big things from them in 2018. Generally, if Bill Belichick wants you, you’re pretty good. For the past two seasons in San Francisco, Brown started all 26 games he was healthy. But in a surprise move this offseason, the Niners dealt the massive tackle to the Patriots for almost nothing. Now Brown appears to be the heir apparent to Nate Solder as Tom Brady’s blindside protector. If you want to place a bet on the Gators alum breakout player of the year, Brown is my pick. He’s a potential future All-Pro now that he’s in New England. Jon Halapio is the symbol of NFL perseverance. A sixth-round draft pick in 2014 by the Patriots, he was cut in training camp. He was signed to the Broncos’ practice squad late that season but never played and was waived in the offseason. The Cardinals brought him into 2015 camp but cut him before the season. For almost a year, he was out of football and working as a car salesman. The Patriots came calling again in 2016 before cutting him, again, after training camp. Less than a month later, the Giants brought him into their practice squad. He spent the rest of the 2016 season and the first few games of the 2017 on the practice squad before finally getting a promotion to the active roster halfway through the 2017 season. Halapio played in 10 games in 2017, starting six of them. After more than three years of hard work that yielded few concrete results, Halapio was an NFL player. The Giants appear close to turning over the keys to their offensive line to Halapio; he has taken every snap as the first-team center since minicamp back in May. It is a remarkable journey and one that hopefully is only beginning. Anzalone has Sean Payton and Saints’ defensive coaches excited for a huge second year. After a promising start in his rookie campaign, Anzalone went down with a shoulder injury, the same issue that plagued him in Gainesville. But after surgery that he says has fixed all issues, he’s had a monster training camp so far. He lined up at middle linebacker in the Saints’ first preseason game, although he’s expected to play the WILL position. His versatility and abilities in coverage mean he’s primed for a huge roll on one of the NFC favorites. Expect the long locks of Anzalone to flow this year. Bullard has a chance to be a full-time starter in Chicago this year after two lackluster seasons. His trademark quickness off the ball should start to emerge after two years of learning how to play in a 3-4 defense. I saw Bullard in person at the Hall of Fame game and he had a sack and a couple of tackles. Always one of my favorites, I’m expecting big things from him in 2018. Bullard should be spending less time on the sidelines and more time in the backfield this season. Not that long ago, the adage in the NFL was that it took three years for a receiver to really figure things out. That’s not the case anymore for everyone, but for Demarcus Robinson, it very well could be. His sophomore campaign was a step in the right direction with eight starts, 21 catches in the regular season, and an impressive 4-for-57-and-a-TD stat line in the Chiefs’ playoff loss. He’s been given more roles in the offense this fall as a result, and it paid off early with three catches and a touchdown in the first preseason game. He’ll be behind Tyrek Hill and Sammy Watkins for sure, but Robinson appears to be finding his niche. The current best of the best. Some of this is based on 2017 performance. Some of it on 2018 expectations. And some of it on track record over the course of a few seasons. For the first time in his career, Haden is beginning a season with the belief that he’ll be playing football in January. Signing with the Steelers right before the season opener last year was a move from the outhouse to the penthouse. Now Haden must prove he can stay healthy. Only once, his rookie year, has he played all 16 games. Not coincidentally, he had a career-best six picks. Haden’s already missed time with nagging injuries this training camp. When healthy, he’s still one of the NFL’s best lockdown corners. Mike Pouncey has a new home in L.A. with the Chargers after spending seven seasons in Miami. As another South Florida to Southern California transplant, I’m excited to see the older Pouncey twin with the Bolts. He looks healthy and rejuvenated and has already made a great impression. If he can stay healthy, expect big things as he anchors what will easily be the most explosive offense he’s played in since the Tebow days. It did not take long for Pouncey  to become the anchor in the middle of the Chargers line. The hype and buzz surrounding Jamal Adams overshadowed Marcus Maye throughout the 2017 season. But if you ask those who watched both of them all season, it’s a coin flip as to who was better and who is better positioned to become a star. Maye showcased the ball skills and sure tackling that made him so great in Gainesville. After offseason ankle surgery, he returned to the field in training camp and looks every bit the dominant free safety. Florida fans fell in love with Trey Burton’s jack-of-all-trades style of play, but nothing we ever saw in Gainesville prepared us for Super Bowl LII. No matter where Burton goes from here, he’ll be defined and remembered for the play that helped the Eagles win their first championship. Now in Chicago, Burton appears headed for more than just a trick play and backup role. New head coach Matt Nagy envisions Burton as a Travis Kelce-like weapon so he might eclipse his career total of 63 grabs in 2018 alone. Congratulations to the newest member of the UF Athletic Hall of Fame! Nelson is going to turn 35 in September and for the first time in his long, brilliant NFL career, Father Time started to nip at his heels. He was still a sure tackler for the most part but his ability to defend over the top and to the sidelines started to slip. In his 12th training camp, he’s battling to hold onto his starting spot. An improved Raiders’ pass rush will help Nelson’s older legs in coverage. Despite playing in only 14 games, Davis led all rookies in tackles last season. He finished strong, too, with 12 wrap-ups and a pick in the Lions’ finale. Lions new head coach Matt Patricia has brought a new system in, but Davis’ work ethic has already ingratiated him to Patricia and elevated him to a leadership role within the Lions defense. Davis is positioned for a long run of success in the NFL. Jon Bostic is used to stepping into massive shoes. His freshman year at Florida, he helped replace Brandon Spikes. The Bears drafted him to take over the middle for Brian Urlacher. Now the Pittsburgh Steelers are hoping he can fill the gap left by Ryan Shazier. After signing with his fifth team in six years, Bostic appears comfortable with his game and role. Last season, he notched a career-best 97 tackles in only 14 games for the Colts. Already in training camp, he’s split time with the first-team unit and turned enough heads that it wouldn’t be surprising to see him become the fourth former Gator to start in the Steel City this year alongside Maurkice Pouncey, Marcus Gilbert, and Joe Haden. Last year’s #1 on this list, Dunlap has cemented his status as one of the best defensive players in Bengals history. He holds the team’s all-time sack mark at 64.5, an average of eight per year since he’s entered the league. His passes defensed numbers dropped last season, but he still bats down more balls at the line than just about any other pass rusher. Still only 29, he’s due a nice contract extension soon. Elite pass-rushing defensive ends tend to stick around well into their 30s giving Dunlap the chance to eclipse the 100-sack benchmark and surpass Kevin Carter and Trace Armstrong as the most prolific Gators pass rushers ever (Jack Youngblood excluded since sacks weren’t counted for most of his heyday). More importantly, Dunlap has become one of the most charitable athletes in Cincinnati, a mark the kids in that community will remember far longer than any sack. Six full seasons, six Pro Bowls. Still only 29, Maurkice Pouncey has a few years of high-level football ahead of him to add to his impressive resume. He anchors the line for one of the game’s best offenses and in some circles is seen as one of the all-time greats for one of the NFL’s most storied franchises. If he can sustain his high level of play into the next decade, he has a shot at Canton. Neal followed up a great rookie campaign with an even better sophomore season. He made his first Pro Bowl and finished 13th in the league in tackles. In just his third season and at the age of 23, he’s one of the leaders of the Falcons defense. Kiki has established himself as one of the best strong safeties in the league, but one thing to watch is how the NFL’s new helmet rules will impact his ability to deliver big blows in the Falcons’ secondary. You know you have arrived when Madden dishes out that high grade. And with that, you have the complete list of 2018 Gators in the NFL. Here’s what an all-former-Gators team would look like. DE – Dante Fowler, Jr. In this week’s episode, Matt and Josh discuss the (loss) to South Carolina. They’ll also get in to a few of the week’s big games, and exactly what we can expect from a coaching race in the SEC. Tune in to this week’s episode and listen to Matt and Josh discuss yet another loss, this time to Mizzou! Remember in 2014 when the Gators lost to them at home? Don’t worry, they don’t mention that. Also, hear our continued talks on head coaches, as well as which teams we think have the toughest fan bases. Join Matt and Josh again this week as they welcome their friend Bobby to chat the UAA and its thought process moving forward with finding a new head coach. Also, we may have played a game on Saturday. Did it go well? Find out when you listen! And also make sure to stick around to hear who we think should be Head Coach. I promise some choices may surprise you. Saban? Haha no. Matt and Josh are back for episode 5! Let’s talk a little bit about Texas A&M, and in case you forgot, our Gators were wearing some new uniforms. Did we like them? Find out by listening to this weeks episode. If you’re a fan of College Football in general, then don’t worry, because we discuss all of those upsets that took College Football by storm this weekend. Unlucky Friday the 13th, unless you’re Syracuse!!! Listen in to this week’s podcast where Matt and Josh discuss the loss to LSU, our future as a football team, whose uniforms look like a Walmart Great Value brand, and giving some insight to what Tom Petty meant to them. New episodes every Wednesday morning. Also! We’re excited to announce we’re on iTunes! Information on a giveaway will come out next week with our Texas A&M recap. And remember, In All Kinds of Weather. Podcast – Do We Curse Teams? On this week’s episode, Matt and Josh discuss the game against Vandy, LSU’s disastrous defeat, cursing teams, and the ugliest uniforms from this week in college football. Make sure to check back next Wednesday for our take on the LSU match up!